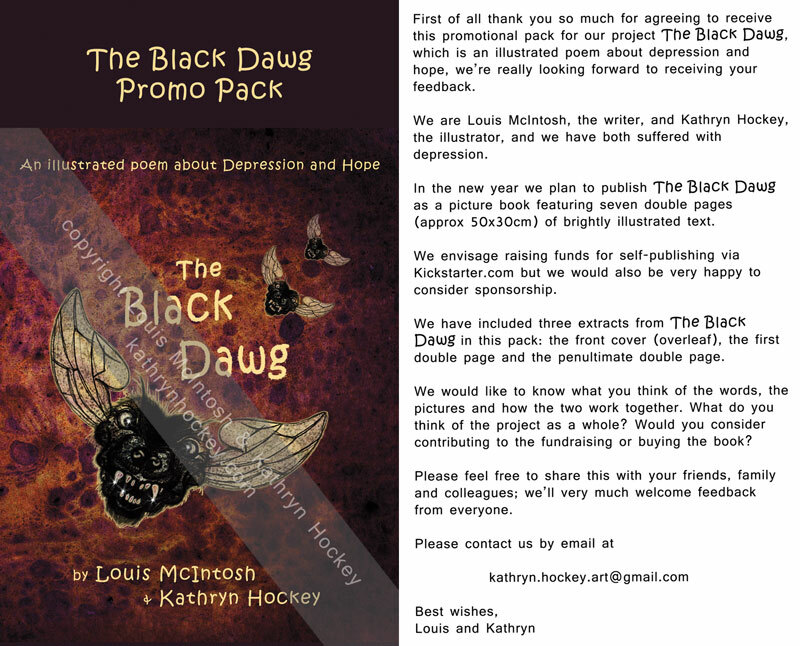 This entry was posted in Illustrations and tagged demons, depression, digital collage, hope, illustrated poem, illustration, kickstarter, louis mcintosh, mental health, poet, promotional pack, the black dawg by kathrynhockey. Bookmark the permalink. 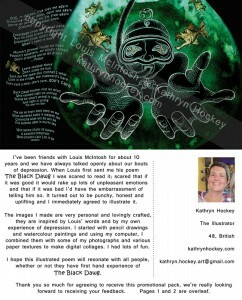 Thanks so much for your positive feedback Karen, your enthusiasm is hugely appreciated. ‘Beautiful’ is a great word, so are the others…we’ll take them all! We’ll also make sure you’re updated as we progress. Mil gracias por tomar el tiempo para mirarlo y dejar retroalimentación positiva Pilar! 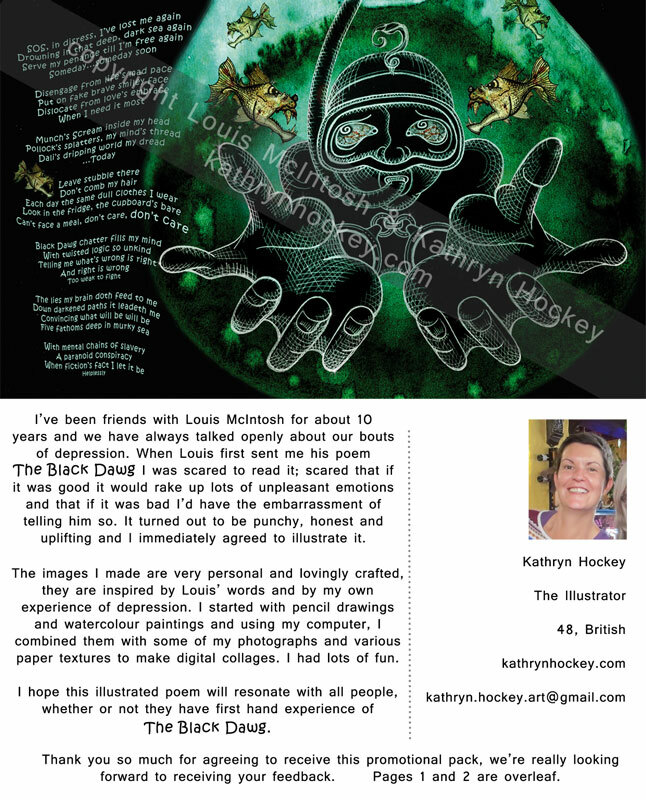 Though depression is a deep topic and a difficult one to approach, you have both done ‘art-justice’ to the topic. 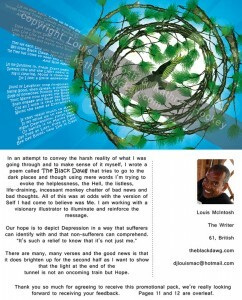 Louis with his choice of language and you, with your haunting and contrasting light images. The words take one’s mind on an uncommon journey (for me at least) shedding light on something I hear about & have listened to but have little understanding of (I guess i’m lucky). This is helpful and thought provoking for a variety of reasons, some very personal. I look forward to hearing more and possibly being involved / contributing. 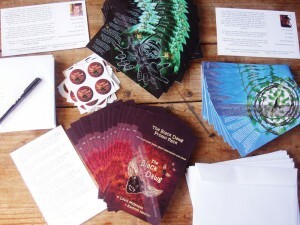 Thank you so much for taking the time to read and comment on this post, your positive feedback is hugely appreciated. We’ll keep you updated as the project progresses. Pleasure … I meant very word ! I saw these illustrations a few months ago and found them vibrant and deeply evocative. I would definitely buy the book. Good luck with the project. Thank you Jackie! We are just about to start our next round of promotion in preparation for fund raising and publishing…I will keep you posted. What honesty and a sense of raw realness i get from the words I have read, “…love, live, breathe and know your worth”, something I’m definitely working towards. it resonated on such a moving level for me. 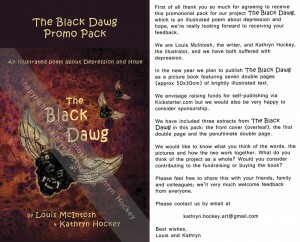 Kath, the illustrations are provocative, the differing emotional depictions of the dog (dawg) as the poem flows work in harmony with the words. Thanks so much for taking the time to read and respond Niall, your positive feedback is hugely appreciated! We’ll certainly keep you posted, warmest regards.